Monitor your heart rate with precision and comfort. 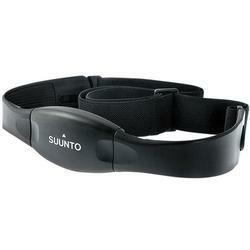 The Basic Heart Rate Belt sends accurate heart rate information to your compatible Suunto heart rate monitor. Easy to use and comfortable to wear, the Basic Heart Rate Belt uses analog signal with 29 different codes to eliminate cross-talk with other heart rate monitors while sending heart rate information to your compatible heart rate monitor, giving you an exact, real-time reading of your performance. The thin length-adjustment buckles minimize the risk of friction and abrasions, allowing you to train with minimal interruption. Get the accurate heart rate information you need to reach your goals. The Basic Heart Rate Belt is compatible with M1 and M2 heart rate monitors as well as with Vector HR.